George Washington was born in Westmoreland Country, Virginia, on 22 February 1732. He was educated at home by his father and his older brother. When he was 17, he was appointed as county surveyor for Culpeper; by age 20 he was a district adjutant general in the Virginia militia. In 1754, he was appointed as a lieutenant colonel and led an unsuccessful campaign against the French at Fort Duquesne. He then served as an aide to General Edward Braddock on the ill-fated Monongahela campaign. Later in 1755, he became the commander of the entire Virginia militia. In 1758, he was elected to the Virginia House of Burgesses; the next year, he married Martha Dandridge Custis. Virginia sent him as a delegate to the First and Second Continental Congresses of 1774 and 1775, respectively. On 15 June 1775, Congress elected him as general and commander-in-chief of the Continental Army, a position he held until 23 December 1783. Washington led the Continental Army at Boston (March 1776), Trenton (December 1776), Princeton (January 1777), Brandywine (September 1777), Germantown (October 1777), Monmouth (June 1778), and Yorktown (October 1781). He resigned as commander-in-chief in December of 1783 and returned to his plantation at Mount Vernon. By 1787, the Articles of Confederation had become inadequate to rule the independent nation. Washington served as the president of the Constitutional Convention in 1787 and then as the first President of the United States from 1789 to 1797. Briefly, he was recalled to active service as the senior officer of the Army, from 13 July 1798 until his death on 14 December 1799, but he never took the field. 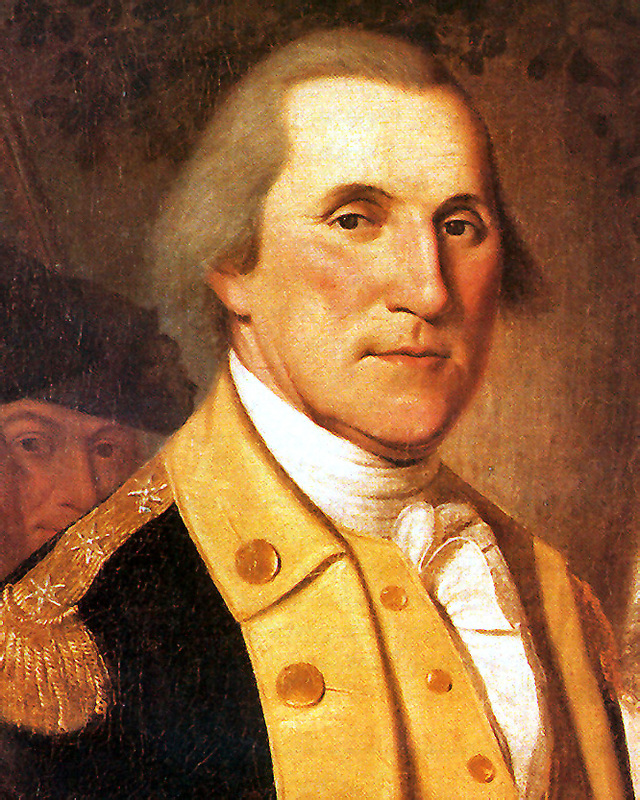 Washington was posthumously appointed to the six-star grade of General of the Armies of the United States by Congress on 19 January 1976.